Van Leeuwen Artisan Ice Cream located in the east village of NYC. Photo taken by my photographer at jwallacedesigns.com. These were the words that came across my mind as I made my way to the Van Leeuwen Artisan Ice Cream Shop located in east village in New York City. For the past 2-3 years I've heard a lot of good press from people concerning Van Leeuwen, and had been eager to try their ice cream-- specifically, the salted caramel flavor! Van Leeuwen's attention grabbing chairs. As I walked into the ice cream shop, the yellow stools instantly grabbed my attention. I love how the simple pop of yellow brightened up the place. Anything yellow makes me instantly happy(as well does ice cream)! 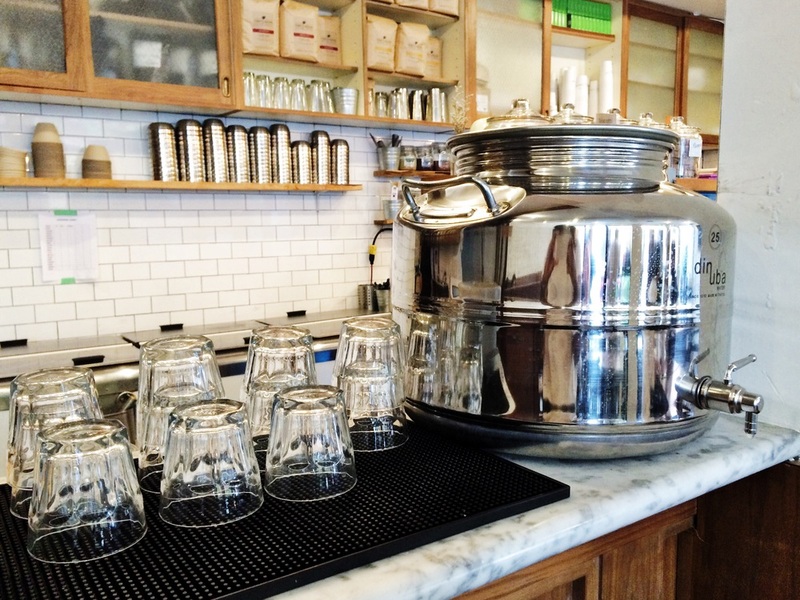 Inside details at the counter, Van Leeuwen east village. 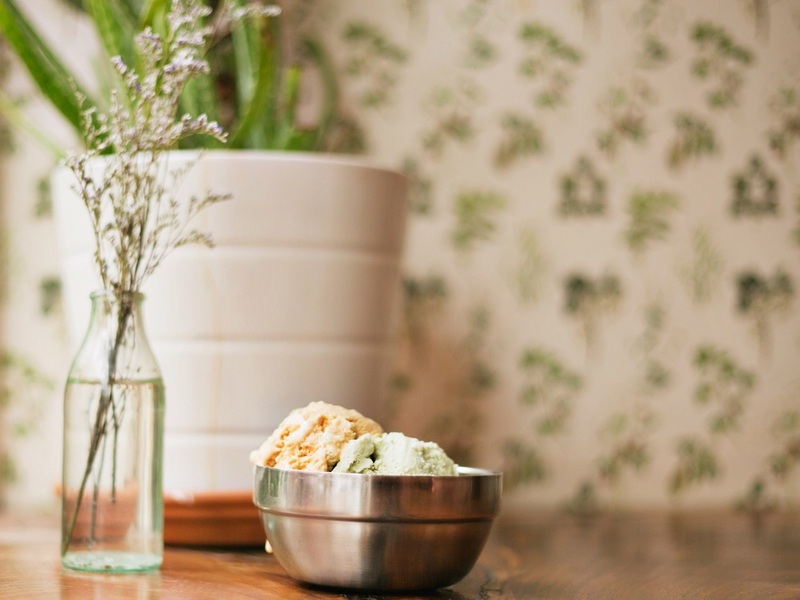 Van Leeweun Artisan Ice Cream shop first debuted the streets of NYC in the spring of 2008, and has since branched out to several locations within the city and Brooklyn, and even a location on the west coast in California! 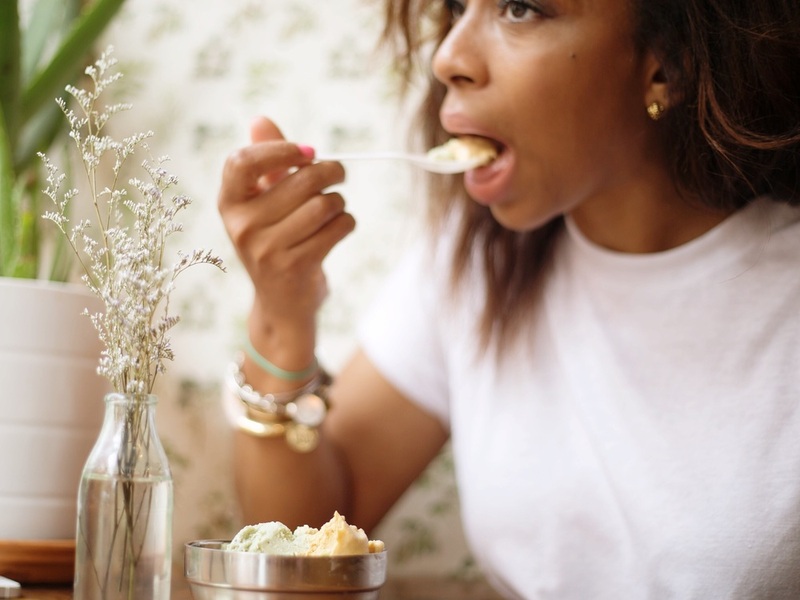 Van Leeuwen is well known within the vegan community for their vegan ice cream made from cashew & coconut milk, organic sugar cane, and other all natural ingredients. VL also has classic ice cream flavors that are made with milk, cream, cane sugar and egg yolks, for non-vegans. I located this information from their website. Vegan pistachio and classic salted caramel ice cream flavors. With traditional ice cream flavors and vegan flavors to choose from, I decided that I would get a scoop of each to differentiate between the two. I did however have a taste test of two flavors: vegan pistachio and classic salted caramel. I was excited to try my choices of ice cream flavors! The differential between vegan and traditional ice cream(to me) is that the vegan ice cream seemed to have a more creamier texture to it. The classic ice cream overall taste better to me, but it could possibly depend upon the flavor of ice cream of your choice. Although there is a slight noticable difference in taste and texture, I would totally purchase the vegan ice cream again. It's really good too! The salted caramel ice cream is a winner! My face after having my first full spoon of the salted caramel ice cream! Oh my was it good! I liked the pistachio nut ice cream, but I could have totally had three scoops Of the salted caramel. We'll discuss calories at another time lol. Let's not forget the vintage looking wallpaper. It's definitely capture worthy! The east village location definitely has a vintage ice cream shop feel to it. salted caramel & pistachio Ice cream. I hope you've enjoyed this post! If you're in NYC or looking to visit, please visit vanleeuwenicecream.com for a location near you!